Restaurant Eve Closing; Has New Location? 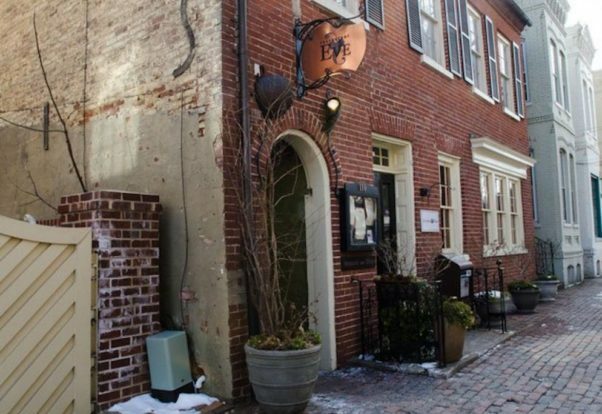 After 14 years, Restaurant Eve will close on June 2 at 110 S. Pitt St. in Old Town Alexandria. However, it looks like their flagship Restaurant Eve may be resurrected. Meshelle Armstrong posted a photo on Instagram showing Cathal Armstrong standing inside a construction site with the caption “Next chapter – EVE” and the hashtags #chefwifelife, #newchapters, #finedine and #revival. 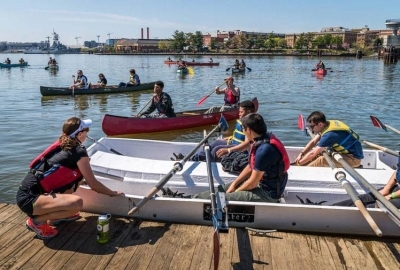 Rumors are that the restaurant will reopen in the District, but she did not respond to questions regarding the new location. However, she did say it probably won’t open until 2019. The founders of Eat Good Food Group recently opened Kaliwa, a southeast Asian restaurant at 751 Wharf St. SW in the new Wharf development on the Southewest waterfront. They also own Eamonn’s a Dublin Chipper, Hummingbird, Society Fair and PX, a cocktail den. They are also opening rum producer Potomac Distilling Co. with partner Todd Thrasher. Top Chef alum Bryan Voltaggio has closed his sandwich shop Lunchbox, 5335 Wisconsin Ave. NW. 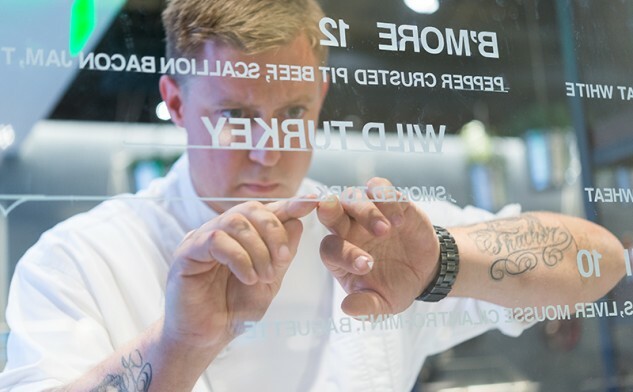 Bryan Voltaggio puts letters on the menu board at Lunchbox, his sandwich shop in Friendship Heights that closed recently. The restaurant served mainly lunch including soups and salads, hot and cold sandwiches, chips, potato salad, coleslaw, applesauce, soft serve and cookies from 11 a.m.-6 p.m. seven days a week. Range, the fine dining restaurant Voltaggio opened on the top floor of the Chevy Chase Pavilion on the Chevy Chase-Friendship Heights border, closed in early April. Aggio, which was an Italian restaurant inside Range, opened in February 2014 and closed in April 2015 after another location, which has already closed, opened in Baltimore. The original Lunchbox lasted about two years in Frederick. Voltaggio resurrected it at Chevy Chase Pavilion in mid-2014. Voltaggio’s only remaining restaurant in the DMV is Voltaggio Brothers Steak House in the MGM National Harbor casino that he opened with his brother, celebrity chef Michael Voltaggio. His other restaurants include the flagship Volt and Family Meal in Frederick; and an outpost of Aggio in Ashburn, Va. He also co-owns Strfsh, a fish sandwich shop he opened with his brother last fall in Southern California. “We look forward to bringing new concepts to D.C. in the near future,” Voltaggio said. After only a year, The Good Silver, 3410 11th St. NW in Columbia Heights, has revamped its menu and replaced charcuterie plates, pickled vegetables, lentil salads and baba ghanoush fritters with sandwiches, super smash burgers, all-day breakfast and cheap beer. 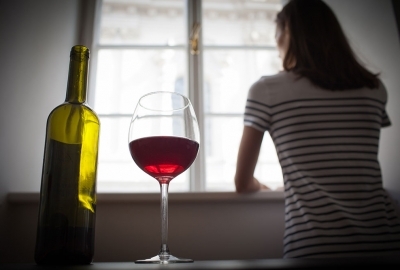 “After a year-long identity crisis (‘Is it a cocktail bar, a sports bar or a Tinder spot? ), we’re tearing it all down and starting from scratch,” co-owner Josh Saltzman said in a press release. The successor to Kangaroo Boxing Club now features four all-day breakfast dishes including reuben hash, beet hash, egg and cheese sammy and a two-egg breakfast with bacon, latkes, toasts, jam and butter, along with a dozen hot and cold sandwiches ranging from BLTs and egg salad with Dijon mustard to a grilled reuben, and a broccoli rabe creation paired with Velveeta, cheddar and slaw. Cheeseburgers are available single, double or super – a double with bacon and a sunny side egg. Sides include hush puppies, bacon mac & cheese, curly fries, chips, a seasonal sald and latkes. 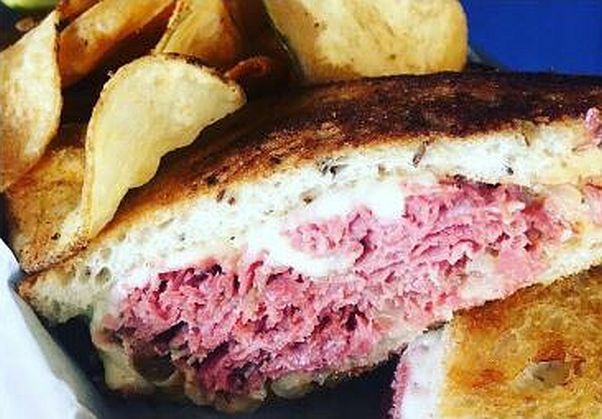 The Good Silver’s kitchen is open from 5-10 p.m. Tuesday through Thursday, 5 p.m.-midnight Friday, 11 a.m.-midnight Saturday and from 11 a.m.-10 p.m. Sunday. 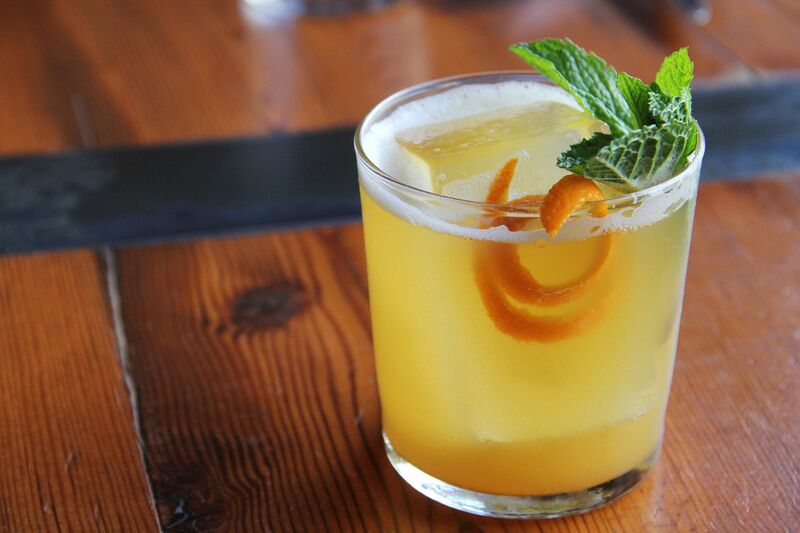 Happy hour is from 5-7 p.m. Tuesday through Friday. Jack Rose Dining Saloon, 2007 18th St. NW, has introduced more than 20 new summer cocktails at its saloon bar and rooftop terrace. The seasonal sips feature everything from tropical, warm-weather flavors of coconut, watermelon, guava, cantaloupe and rhubarb, to vegetables like celery, fennel, red sorrel and peppadews. Guests will even find unique house ingredients like cashew orgeat, coconut beer syrup, turmeric vermouth and butterfly pea flower tonic. New drinks at the saloon bar, all priced at $13, center around whiskey, gin, rum, agave and vodka. Among the new cocktails are Cashews Everything Around Me made with Bulleit bourbon, Pierre Ferrand dry curacao, cashew orgeat, lime and grapefruit; Island Turkey with Wild Turkey 101 Rye, Averna amaro, Maui coconut porter syrup and Amere Sauvage; Farmers Market Hangover with Hendrick’s Gin, Ramazotti amaro, cucumber ginger shrub, lemon, celery bitters and Mexican Sprite; You’re Turning Violet, Violet! With Plantation 3 Star rum, Pasubio Vino amaro, creme du mure, lemon and butterfly pea flower tonic; and the Cannes You Dig It? with Deleon blanco tequila, Solerno blood orange, lime and Provençal agave. Jack Rose also offers two new private barrel cocktails, priced at $23 each, made with whiskey from their own private, hand-picked barrels including the Perfect Manhattan with Wathen’s single barrel, cocchi di Torino, Carpano Antica, Dolin Dry and house barrel-aged bitters; and a Sazerac with Peerless rye cask strength, Copper & Kings port finished absinthe, Peychaud’s bitters and sugar. New cocktails on the rooftop terrace, priced at $10 each, include Bramblin’ in the Breeze with IW Harper Bourbon, white peppercorn syrup, strawberry, lemon and Peychaud’s; Watermelon of Life with watermelon infused Jameson Black Barrel, H&H Rainwater Madeira, Cocchi Americano and orange bitters; and Dew the Peppa with Altos blanco tequila, peppadew syrup, grapefruit, lime and grapefruit La Croix. 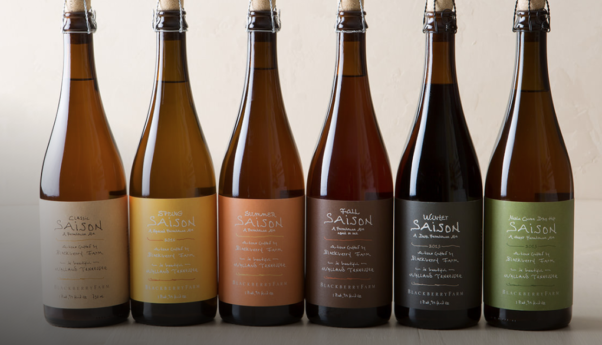 http://brasseriebeck.com/ Brasserie Beck, 1101 K St. NW, will host the team from Blackberry Farm Brewery, in the foothills of Tennessee on Thursday, May 31, from 5-8 p.m. 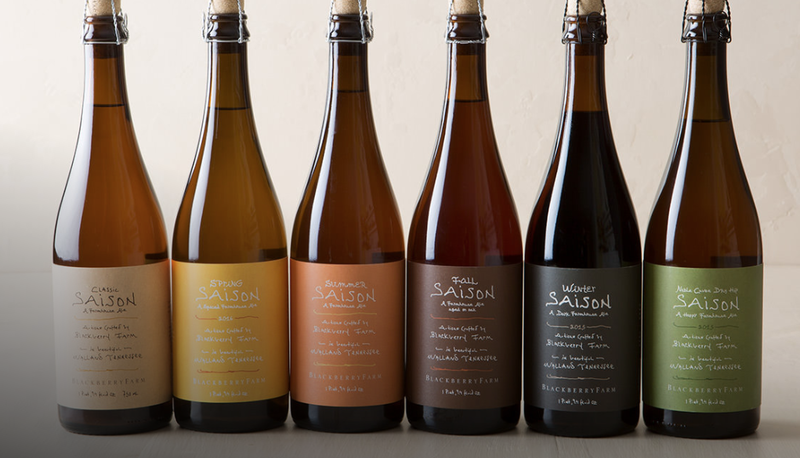 The James Beard Award-winning team from Blackberry Farm Brewery including Roy Milner, chief fermenting officer, Travis Hixon, brewmaster, and Andrew Noye, general manager, will be present to offer guidance through several limited draft offerings during a special happy hour at the bar. The beer list include Off The Table, a Rhinegeist Brewery collaboration, Boundary Tree, Imperial Saison and Classic Saison. All Blackberry Farm beers will be specially priced. 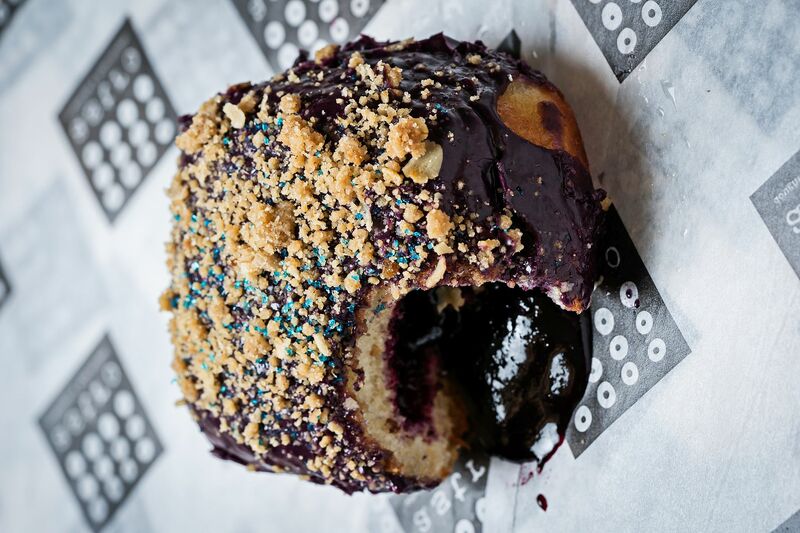 To celebrate National Doughnut Day on Friday, June 1, http://astrodoughnuts.com/ Astro Doughnuts & Fried Chicken, 1308 G St. NW and 7511 Leesburg Pike, Falls Church, will feature a special edition blueberry “muffin” sour cream doughnut for one day only. The doughnut is a pillow doughnut filled with lemon blueberry jam covered with a blueberry sour cream glaze and brown sugar crumb topping. It is priced at $3.50 and be available at both locations and on the shop’s food truck. All proceeds from the sale of the doughnut will benefit the Salvation Army, which created National Doughnut Day in Chicago in 1983 to honor their members who served doughnuts to soldiers during World War I. Members of the Salvation Army will be at all Astro locations on Friday dressed as “doughnut lassies” with red kettles for additional donations. Estadio, 1520 14th St. NW, will host Juniotónico: A Gintonic Festival from June 1-30 to celebrate the Spanish drink with seasonal, weekly-rotating flavors, plus weekly educational talks, tonic-making demonstrtions, the debut of its new rare andSpanish gin program, and even a late-night gin-fueled kickoff party on June 3. Typically served in wine glasses or goblets packed with ice, Spanish gintonics combine the two base ingredients – gin and tonic – with elaborate garnishes of seasonal fruits, veggies. herbs and spices to amplify the spirit’s botanicals. 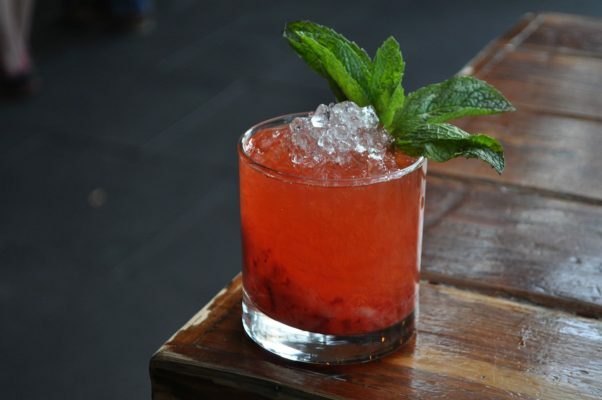 Estadio will feature five classic gintonics price from $12-$16 with such flavors as melon, strawberry, coconut, rhubarb, elderflower and other unique herbs and spices. Each week, Estadio will spotlight one to two of the special gintonics with a discounted price of $10 and every Monday at 5 p.m., bar director Adam Bernbach will host a free educational conversation at the bar discussing everything from the popularity of the Spanish gintonic, influx of new gins on the market, process of making house tonics, gin and tonic pairing recommendations, and featuring special guests. Despite staring June 1, there will be a kick-off party on Sunday, June 3 at 9 p.m. featuring specially-priced gintonics, late-night snacks, rare Spanish gin tastings, special bottled tonics, porrons and more. On World Gin Day, June 9, there will be a tonic-making demonstration at 4 p.m. and a gintonic happy hour from 5-7 p.m. featuring discounts on all five Juniotónico gintonics. The tonic-making demo is free to attend, but an RSVP is required.